Kenyans are mourning the death of pioneer athlete Nyantika Maiyoro who died on Sunday evening. According to Maiyoro’s son Kennedy said his father suffered breathing problems shortly before he died at 8 pm. 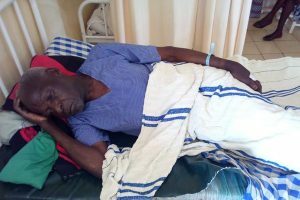 He had been admitted to the facility three weeks ago suffering from chest problems. Athletics Kenya (AK) president Jackson Tuwei and National Olympic Committee Of Kenya(NOCK) president Paul Tergat have sent their messages of condolences. “I have learned with great shock the double tragedy in Gusiiland, which has robbed us of John Mayaka, who was a great javelin thrower and Nyantika Maiyoro,” Tuwei said. Former Nock president Kipchoge Keino said it is said to lose pioneer athletes like Maiyoro in such circumstances. “I send my personal condolences and those of pioneer athletes to the family, friends and relatives of the late Maiyoro,” Keino said. It was double tragedy for the sports fraternity as pioneer javelin thrower and former Commonwealth Games javelin bronze medallist, John Mayaka, also died at the weekend. 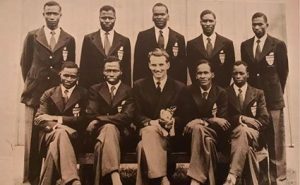 Maiyoro first represented Kenya together with Kanuti Sum and high jumper Joseph Leresae at the 1956 Olympic Games in Melbourne, Australia when the country was still a British colony. 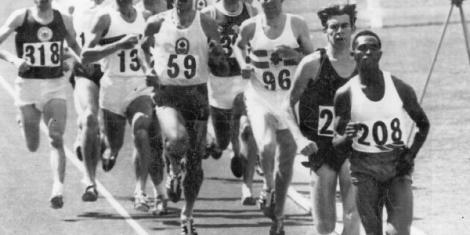 He finished 7th in the 5,000m race. He went on to represent Kenya in several other championships. Mayaka who was born on in 1948 in Nyamira, participated at the 1974 Commonwealth Games in Christchurch, New Zealand, and 1978 in Edmonton.